The monetary history of China extends back in time at least 3,000 years. At first, money was sea shells, namely the cowry shell during the Shang Dynasty. Barter was always a dominant means of exchange in China that remained largely an agrarian society. Merchants and moneylenders were not well regarded even by government. As Chinese civilization grew and people moved more inland, the supply of cowry shells was clearly not enough. The shortage of money in its natural form led to the introduction of bronze. In the Western culture, the Minoan culture made a similar transition from sheep skins to bronze and the bronze ingots of the Minoans took the form of the familiar sheep skin with a protrusion at each corner symbolizing the legs of a sheep. 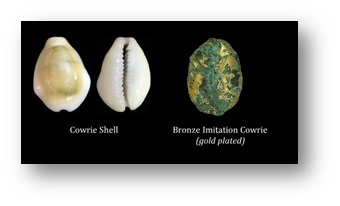 In this instance, the first Chinese bronze coins imitated the cowry shell. As commerce expanded inland, the geographic boundaries of trade widened greatly creating a demand for a medium of exchange. With time, bronze cowry shells replaced the natural shells. The economy began to expand rapidly during the Zhou (Chou) (Spring and Autumn Period) (740-476BC). We see both China and Rome are beginning to emerge during this period using bronze cast into shapes. While at first this is an imitation cowry shell, during the second phase known as the Warring States Period (475-221BC), we also see the beginning of bronze coinage in the shape of farm tools such as a knife and spade: “DAO” meaning knife and “BU DAO” hoe coinage. 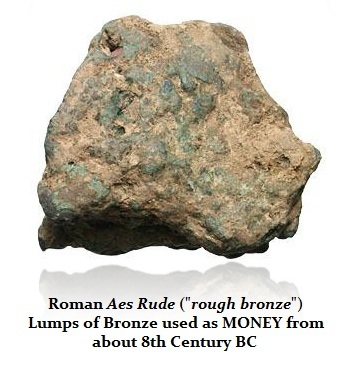 The Romans began using bronze as money that was traded simply by weight in various lumps known as Aes Rude (rough bronze) during the 8th century BC. By the 3rd century BC, we begin to see bronze cast into shapes with the large denomination being 5 Roman pounds (As) known as the Aes Signatum. By the mid 3rd century, the Romans were issuing silver coinage based upon the Greek standard of a drachm obviously to facilitate trade. This, we do not see in China. The coinage was clearly for domestic use, not international. 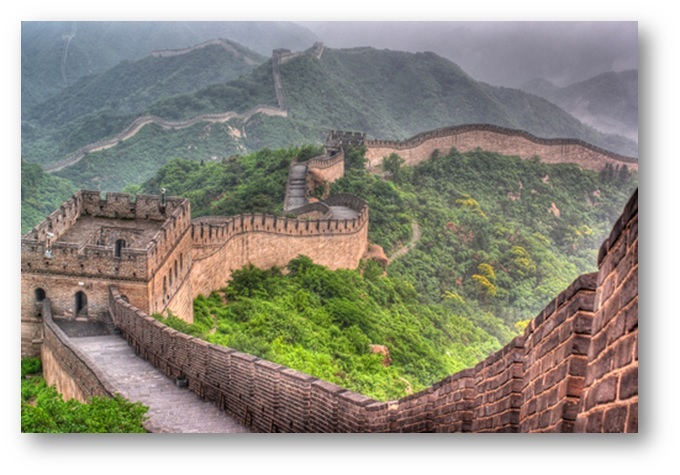 At the end of the Warring States Period in 221BC, the first Emperor of the Qin Dynasty, Shihuangdi, unified of China making it one empire and built the Great Wall. This unification was marked by major reforms that included civil service, establishing standard weights and measures, his monetary reform system that introduced a round coin. The shapes actually meant something whereby the circle equals heaven and the square hole represents the earth. Prosperity continued through the Qin Dynasty (221-206 BC) but inflation appeared during the subsequent Han Dynasty (206BC-220AD). The official coinage of China whether in tool form or round coins, was minted in copper, bronze, or sometimes debased using iron or lead. China stood in contrast to the use of precious metals in the West from Celtic Britain on the one extreme and India to its south. The great Chinese historian Sima Qian (Ssu-ma Ch’ien)(c 135-95BC) who authored Shih-chi (“Historical Records”), provides us with a glimpse as to what was considered to be objects of value for trade. Sima thus instructs us that “tortoise and cowrie shells, gold and bronze coin, knife-shaped and spade-shaped money” existed. Gold did provide a medium of exchange, but by weight and not for the general population. Even going back further, during the Zhou Dynasty (770-255BC) period overall, the kings were said to have made back then “pearls and jade their superior currency and gold their second currency, while knife-shaped and spade-shaped bronzes were relegated to the position of inferior currencies,” according to the 3rd Century Guanzi (manual of political theory) (W.A. Rickett 1985, Vol I Princeton). It was the monetary reforms of Wang Mang (王莽) (6/9-23AD), who made a move to establish his own dynasty, Xin, intending to replace the Han. This usurpation of power destroyed the economy sending it into a chaotic period between 7 and 14AD. This centered once again upon the introduction of a new coin that was overvalued dramatically relative to its metal content. In the year 10 AD, Wang Mang was desperate for money and he instituted an unprecedented tax—the income tax first such record of any direct tax of this nature. The rate was 10 percent of profits, for professionals and skilled labor. Previously, all taxes were either poll tax (head tax) or property tax. 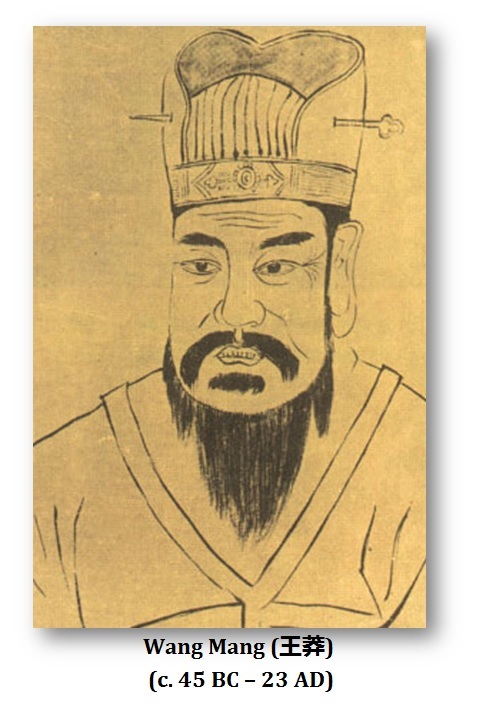 Wang Mang was thus the founder of a short-lived Xin (Hsin) Dynasty (9-23AD). The monetary reforms of Wang Mang reflect also the desperate times. He had installed a new denomination, the daqian, which was 12-zhu valued at 50 times that of the old Han wuzhu coin that was effectively about 20-21 times that of its metal value. He also introduced knife-shaped coins of bronze in an attempt to revive and depart from the Han coinage. This knife coinage weighed about 16 grams and was valued at 500 of the Han wuzhu, which was nearly 100 times its weight. He also issued a heavier version of about 28 grams valued at 5000 wuzhu that was 560 times its value with a tiny gold inlay. He outlawed private ownership of gold and he recalled all gold to be turned into the treasury as did Franklin Roosevelt in 1934 United States. With these new overvalued denominations, no doubt these were used to compensate for the confiscated gold. By the end of Wang Mang’s reign, the treasury had a significant gold supply. These efforts were taken when he was regent prior to his assumption of the throne in 9AD. Once he took the throne, he abolished these denominations and returned to a 1-zhu coin value (cash) that that was still overvalued by 5 times. The knife coinage was abolished for they seem to have served their purpose in paying for the forced confiscation of gold. (R. Thomsen, Ambition and Confucianism: A Biography of Wang Mang (1988), p119). 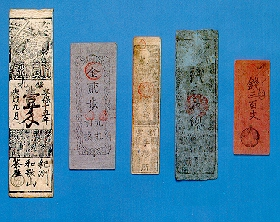 To help prevent counterfeiting now that coins were valued far above their metal content, Wang Mang prohibited the possession of copper and even charcoal. (Hanshu, 99B: 7b). The old Han wuzhu coins were still in abundance and were still circulating. Anyone caught hoarding the old currency was now to be deported to the frontiers. In 10AD, there were vast war preparations against the Xiongnu. Wang Mang tried to cover these expenses creating 28 new denominations of overvalued metal to pay for the military. There were gold and silver ingots, tortoise shells, cowrie shells, and 16 different bronze denominations that were once again round and spade-shaped trying to restore the old coinage pre-Han. The overvaluation was effectively HYPERFLATION with some coins now valued at more than 20,000 times their intrinsic value. This naturally encouraged counterfeiting on a grand scale. The Hanshu tells us of draconian measures to force the people to accept this new currency_ Counterfeiters were to be executed along with their entire families, in addition to 5 entire families that were neighbors were to be enslaved (99B: l5a). This was indeed perhaps even beyond draconian. Travelers were serached and were required to be carrying only the new money. Roadblocks were set up to enforce these measures. This certainly would instill a peasant revolt. 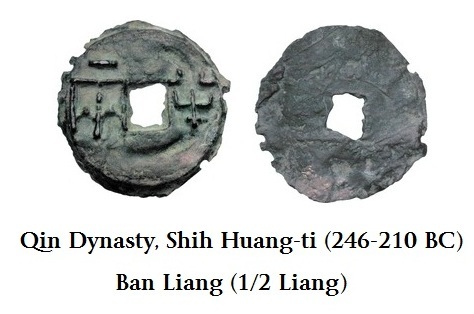 Although the Han Dynasty was restored in 25AD, production of the old wuzhu coins did not resume until about 40AD, yet the overvalued spade-money ceased to be produced. The problem that China was encountering was this overvaluation of the coinage relative to its metal value. This is what created the incentive for counterfeiting. The 118BC reform that introduced the wuzhu (“five grain”) coins, which replaced the ban liang of 175BC, had led to widespread imitations. By 48BC, the emperor was even considering demonetizing all the coins and returning back to grain, silk, cloth, and shells to provide the monetary base. This was not carried out. Nevertheless, many Chinese scholars believed that money was the root of all evil. However, this was not in the context of commodity values serving as a means of exchange, only in the concept of coinage. In this respect, the widespread inflation created by the private and counterfeit coinage indeed created corruption and kept the economy always in check. It was Liu Xiu (Kuang-wu Ti; Pinyin Guang Wu Di) (b 4BC-57AD) who became the Han Emperor (25-57AD) who restored the Han Dynasty after Wang Mang. This restoration is generally known as the Eastern Han (25-220AD). He was a member of the Imperial Liu family and a descendent of the founder of the Han Dynasty. When the inflationary policies of Wang Mang were tearing the economy apart, Liu Xiu assembled an army and defeated Wang Mang in 23AD. Two years later, he moved the capital to Eastern China at Lo-yang. He was still plagued by numerous peasant rebellions including the Red Eyebrows. He became so weary of fighting, he forbid the mention of the word war in his presence. Nevertheless, the restored Han Dynasty was significantly weaker. The aristocratic estates that had been exempt from taxation under the old Han Dynasty were destroyed in the peasant rebellions. Liu Xiu needed the support of those aristocratic families, and this evolved into a steady weakening of central government and the disintegration of the state into powerful clans, not quite divided into separate feudal states. 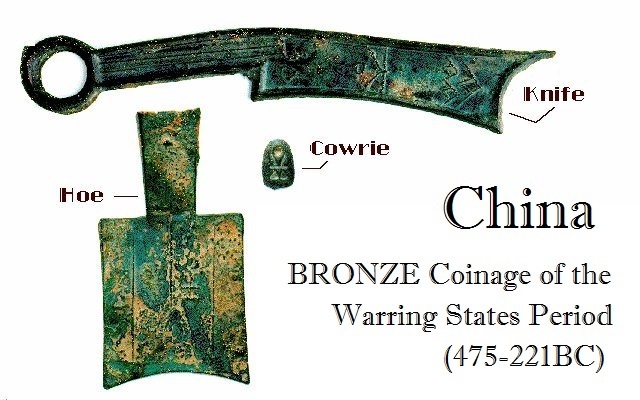 There was no production of the wuzhu bronze coinage for 15 years. Grain prices declined with war and economic stability began to resurface by 40AD. The new capital at Lo-yang is said to have been immense. Unfortunately, the tombs of this complex have long been looted. Yet paintings on walls have survived. It was during the Han Dynasty that paper was invented.